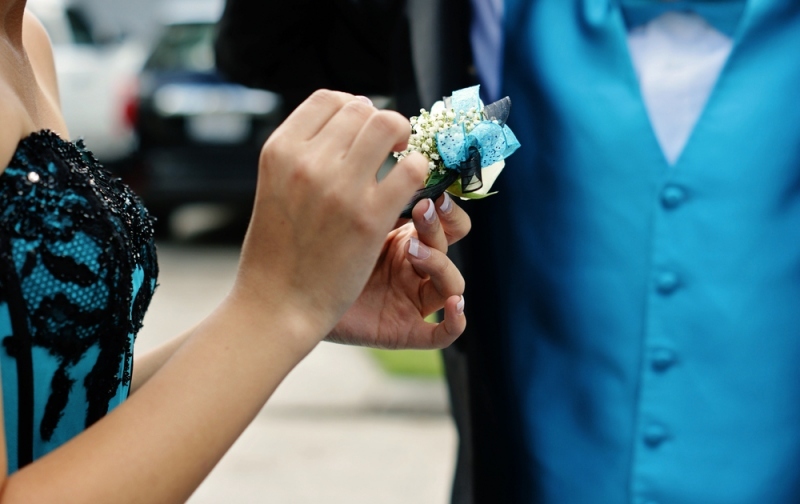 Whether you’re taking a friend, a long-term girlfriend, or it’s a big date you’re hoping to make a great impression on, you’ll want to be a polite and charming prom date no matter who you’re with. The steps you take to being a good prom date are as important as the ones your date will take to securing her prom dress. Being a good date starts long before the big night, so here are some of our tips on how you can be a good date leading up, and on, the night of your prom. Your date has most likely been planning the night of her prom for quite awhile. From deciding whether to wear long or short prom dresses, to how she will do her hair and makeup, to which song she hopes to dance to prom night has always been a big event for girls. However, if you want to be a good date, it’s essential that you let her know that you’re there to support her as well. Discuss when you’ll arrive and leave, corsages, after parties, and any other relevant information with her so that she feels that you are just as much about the fun you have. Getting to and from prom isn’t just about what cool car you get to drive up in; it’s also about safety. Planning ahead to have a safe way there and back, especially if anyone starts drinking. If you’re taking your own car, make a point to clean it, gas it up, and open the door for her. She’s been poring over prom dresses for months by now and agonizing over details, choices between colored and white prom dresses, options for shoes and jewelry, and more. So if you want to show her the night matters, make sure you dress to impress. Wear a nice suit or rent a tux and make sure it fits well. Get your haircut, make sure you smell pleasant (but not too overpowering), and shave. These little details matter to her and will also make her more interested in dancing closely with you. If she’s waiting anxiously on you, pacing the floors at home in her gown, then the last thing you’re going to get is a smile when you arrive. Arriving on time to an event is important since it shows you respect the other person’s time and care that they made plans with you. You can be sure that prom night is no exception! Make sure that you know exactly how long it will take to get to her house and to prom and leave a little early. It’s better to wait in the car for a few minutes than to show up late and sweaty. No matter what relationship you have with your prom date, being a gentleman is essential. Don’t ignore her, get sloppy drunk, or grab at her. Be respectful and attentive and watch your date’s responses to your actions to make sure you aren’t neglecting her or hurting her feelings.